We are a leading Exporter of nylon pipes and nylon hose from Faridabad, India. Avail from us high-quality Nylon Pipes, which are impeccably designed to excellence using modern technology. These nylon pipes are widely preferred by diverse industries for various diesel engines. We have the expertise to manufacture these nylon pipes in varied sizes, colours and dimensions depending upon the demands of our clients. 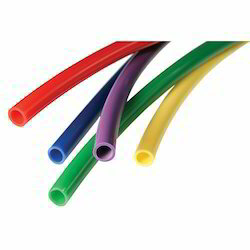 Nylon Hose offered comprise quality nylon hoses that can be made available which perfectly match up with the requirements of handling air oil transfer.